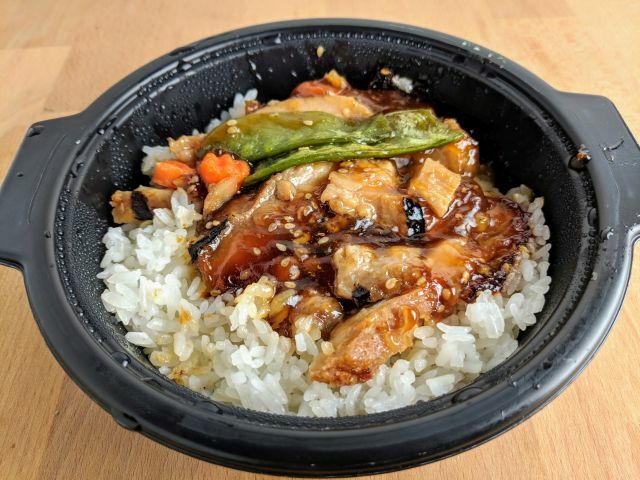 Ajinomoto's Chicken Teriyaki Don (bowl) features chicken leg meat and vegetables on rice. An 11.29-oz box cost me $3.49 on sale. The vegetables in the bowl turned out to be two paper-thin snap peas and a few odd mini discs of carrot. The carrots were okay but the snap peas were really sad and kind of dried out. The chicken didn't turn out better as it was a little dry and rubbery, which was weird as it was dark meat. It was subpar as far as your standard frozen dinner meat goes. 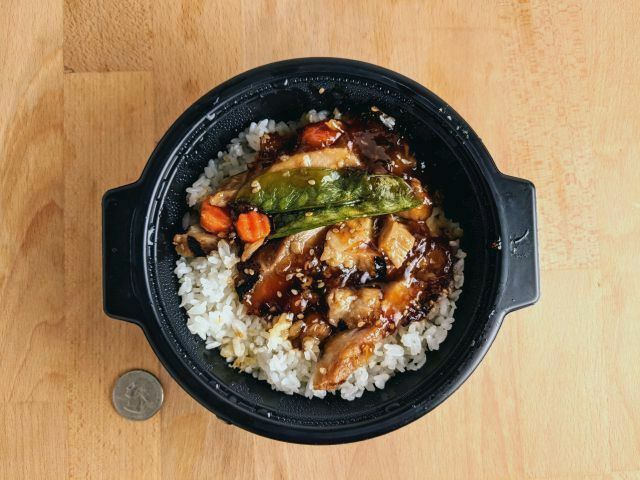 The teriyaki sauce was similarly lackluster. It was of a gel-like consistency (like when you put too much corn starch into a sauce) and offered a sweet and salty combination that tilted entirely too much in favor of the latter. Given its strong salty quality, there was entirely too much of the sauce to go around and I ended up scraping a good deal of it away. 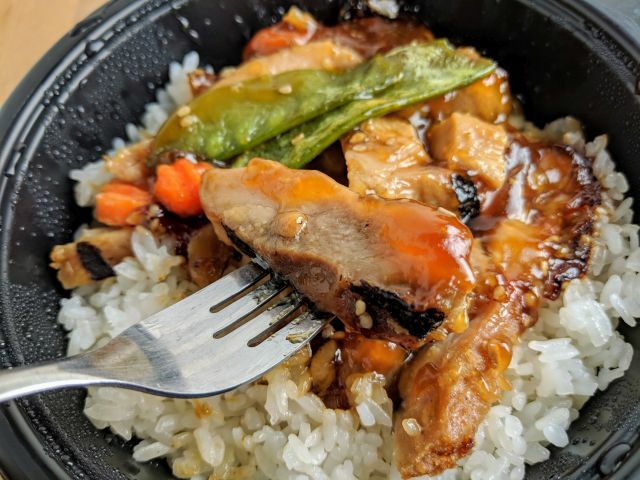 The only saving grace of the meal was the rice which, as in the other Ajinomoto frozen meals that I've tried, it was firm but cooked through and not dry. The grains were distinct and sticky but not mushy. Unfortunately, they were unable to provide enough of a buffer against the assault of saltiness from the teriyaki sauce. 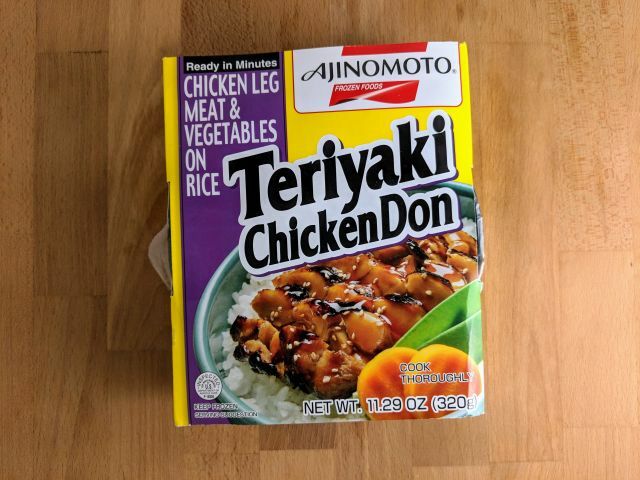 With all its shortcomings, Ajinomoto's Chicken Teriyaki Don was a disappointing miss for me. I just didn't like any part of it beyond the rice.